So I did some research, and the best HDMI cable for long runs that I recommend is the Twisted Veins HDMI Cord with Ethernet. This cord comes in either 50 or 100-foot lengths. These cables are highly rated, they are HDMI compatible with all kinds of devices including Apple TV, Blu-ray players, Fire TV, and most everything else you can think of. But most important – they are very economically priced, and are very affordable. (Click here for current price on Amazon). It is very important to select the right length HDMI cable for your project. The reason for this is first you wouldn’t want to overspend by buying a more expensive cable than your project demands. Second, you would not want to buy 100 foot HDMI cable for a project where you only need 13 ft of cable. Right there you’d have 80 feet of extra cable you’re shoving behind television, or kicking out of your way, and that obviously doesn’t make any sense. One tip is to use a piece of string to basically outline your project and see where the cord is going to go. This won’t be necessary if your run is on the shorter side. But if you have a project where you are expecting the length of your cable to be 75 ft or more, use a small piece of string where you would lay the cable, so you can outline your project. 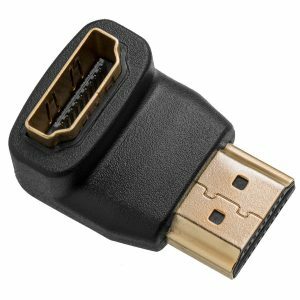 What types of HDMI cables are there? Excluding what they use in cars and trucks there are four basic types of HDMI cables. You have a standard HDMI cable, then you have the standard with Ethernet, then there’s, high speed and finally, there is high-speed with ethernet. Another small note is that standard cables are most often rated for 720p or 1080i signals. But please note manufacturers will always list on the side of the cable what the rating and type is. Will the length affect quality? So I’ve done an awful lot of research into this question – will the length of your cord affect the quality of the signal? All the research that I found states that if your HDMI cable is under 100 ft there will be no loss of quality in your picture. Do I need a special 4k HDMI cord? Yes if your project will contain 4K video quality you want to definitely make sure that the HDMI cord you select is compatible with 4K video quality. If you are looking for a top-of-the-line 4K HDMI long-run cable check this one out on Amazon. What is an HDMI extender? Simply put an HDMI extender allows you to connect two HDMI cords together. The benefit of this is if you take two cords that are each 50 ft long, and you connect them together with an HDMI extender you now have a 100-foot cable to use for your project. PRO TIP: If you can get away with simply buying an extender to connect your HDMI cable you already have it’s possible you can get away without the expense of a long run HDMI cable. This is a great question, and I’ve looked at a lot of different articles especially the ones on CNET and most of what I can find says that HDMI cables are almost all the same but that the prices range wildly from a few dollars to $700. So what I conclude here is to find a highly rated cable that Amazon says it’s great that the customers that buy the products and review it well because it performs great and is reasonably priced no I would never go out and buy an exorbitantly expensive HDMI cable simply because the sales person told me to. What about the lingo? What do HDMI and AWG mean? Just so you are familiar with the lingo HDMI stands for high definition multimedia interface. You will also see on your HDMI cable AWG, which stands for American wire gauge, and refers to the gauge of the wire. To the way, this works as the number of the gauge Tire the wire itself will become more skinny and thinner. Do use an appropriately rated cable inside walls. Like this one from Amazon. Don’t buy a cable that is too short (it’s easy to do, but will be frustrating). Do measure appropriately, and give yourself an extra 5 feet of slack in your run. Making sure you buy the correct HDMI cord for your long run project is important. You need to find one that is appropriate for your project and long enough, and one that fits your budget. 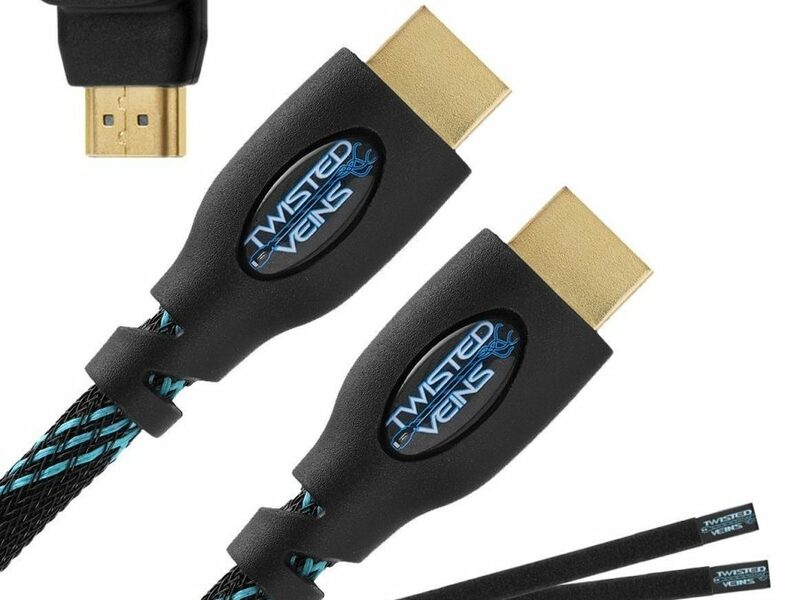 We highly recommend the one from Twisted vein HDMI cord with ethernet the reason we recommend this is because it is so compatible with so many devices, like the Fire Stick, it’s priced at an amazing price point and it’s rated very highly I hope your project goes super smooth.